It was the yellow color of the solution, pulled from cauliflower, that set Frederick Crane’s hallmark achievement into its final motion. Crane was a researcher under David E. Green in the early days of the University of Wisconsin-Madison Enzyme Institute, in a lab group on a mission to determine, bit by bit, how mitochondria — the power plants of cells — generate the energy required to sustain life. 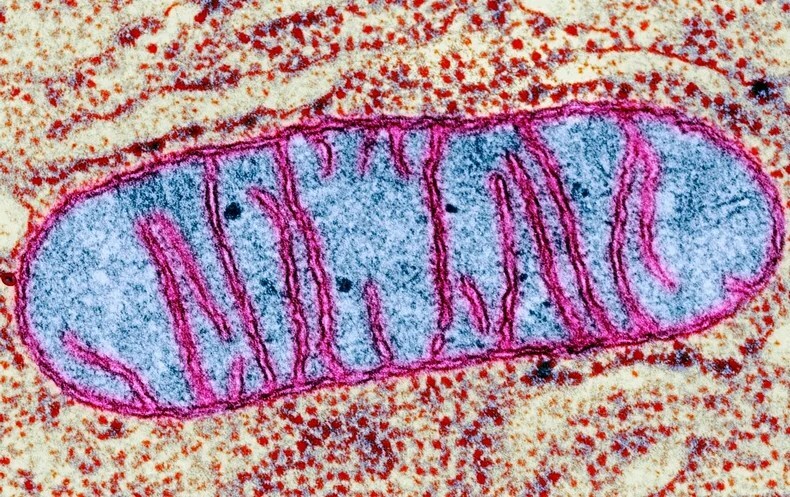 Mitochondrion ultrastructure. A mitochondrion has a double membrane; the inner one contains its chemiosmotic apparatus and has deep grooves which increase its surface area. 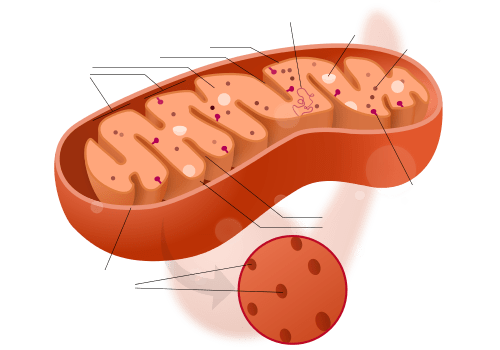 While commonly depicted as an “orange sausage with a blob inside of it” (like it is here), mitochondria can take many shapes and their intermembrane space is quite thin. 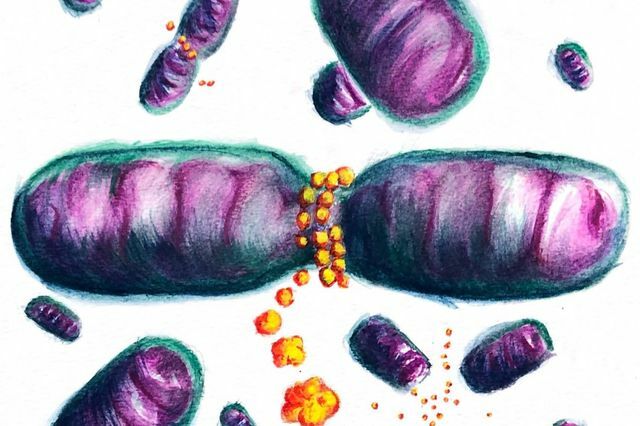 In the early 1950s, the lab was looking for the missing piece that connected each of the individual parts of the mitochondrial energy machine — the electron transport chain — like the gears needed to operate an engine. 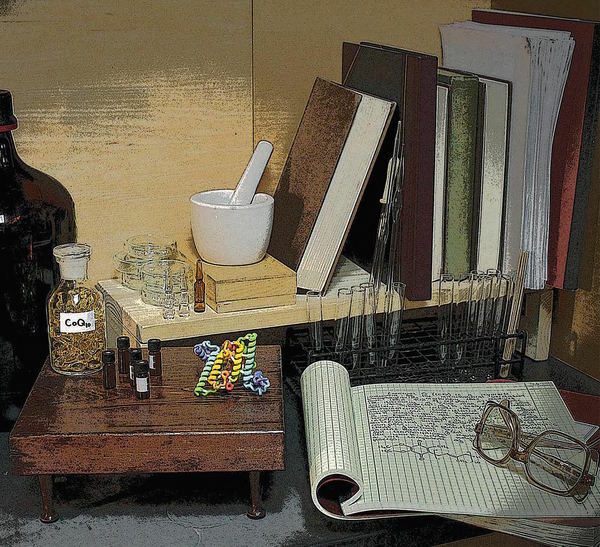 What Crane found, a compound called coenzyme Q, was to become a major part of the legacy of mitochondrial research at UW-Madison, but it was no accident. It was “the result of a long train of investigation into a mechanism of, and compounds involved in, biological energy conversion,” Crane wrote in a 2007 review article of his discovery. Almost six decades later, that “long train” has grown even longer. 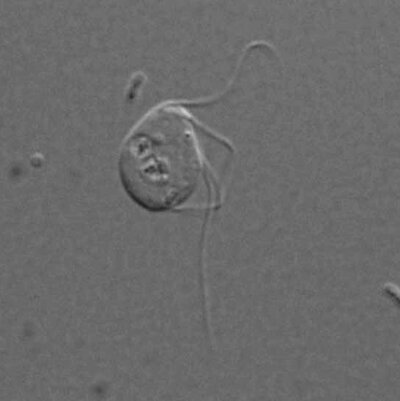 Dave Pagliarini, a UW-Madison assistant professor of biochemistry, has established a new laboratory studying these dynamic organelles, the mitochondria. He recently published two studies shedding more light on coenzyme Q and how it’s made, one in the Proceedings of the National Academy of Science (PNAS) in October and another today in Molecular Cell. These include cerebellar ataxia, certain kidney diseases and severe childhood-onset multisystemic disease. Coenzyme Q deficiency is a hallmark of these diseases, but scientists aren’t sure why. “Nearly 60 years later, there is still much we don’t know about how mitochondria make coenzyme Q and that has complicated our ability to target this pathway therapeutically,” Pagliarini says. The new studies, he says, are about two proteins known to be important in the coenzyme Q production pathway. Mutations in them lead to human disease. But before now, no one knew a thing about their biochemical functions. One of these proteins is COQ9, and graduate student Danielle Lohman, co-lead author of the PNAS study, explains it’s somehow involved in making coenzyme Q in mitochondria. The other lead author is Farhad Forouhar at Columbia University. The study team — which includes researchers from UW-Madison and other universities in the U.S. and Spain — found COQ9 is essential for coenzyme Q production in mice. To study what it looks like, they created crystals of COQ9 in the lab and found it binds fatty substances like those Crane first observed in his studies, like coenzyme Q. 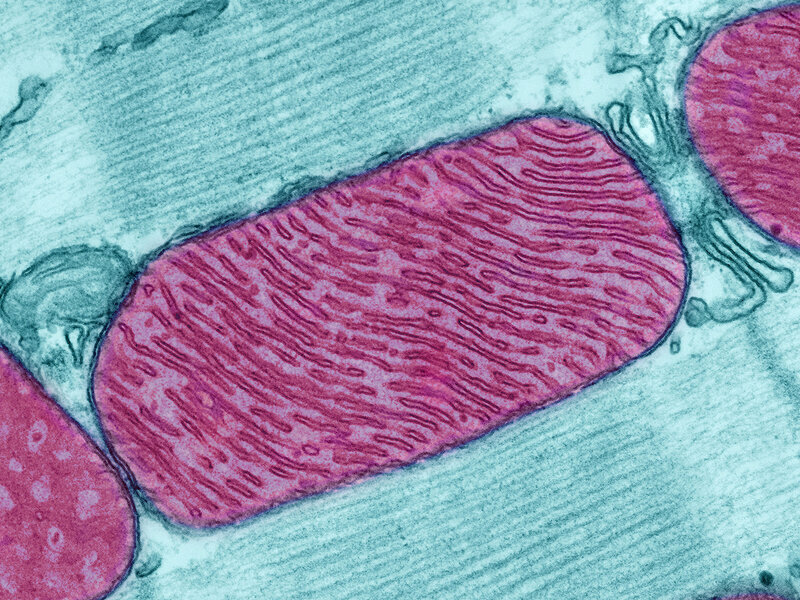 With these mitochondrial proteins and many others, much is still unknown. They represent an untapped resource, Pagliarini says, but the mining for answers is happening right here, where coenzyme Q was first found. In his day, while others were looking for proteins to be the missing part of the mitochondrial energy chain, Crane was looking for fatty, vitamin-like compounds. His hunch turned out to be correct. Today, Pagliarini and Lohman have a hunch, too, that COQ9 may be grabbing hold of an immature form of coenzyme Q and helping it develop. The prevailing notion in the mitochondrial field is that coenzyme Q is made through the actions of a collaborative complex of proteins, of which CoQ9 may be a part. Only time and future study will tell, but lending credence to the idea is the research team’s additional finding that COQ9 cooperates with another protein called COQ7. “We went from not knowing why this protein would be needed to make coenzyme Q, to having a model for what it might be doing,” Lohman says. 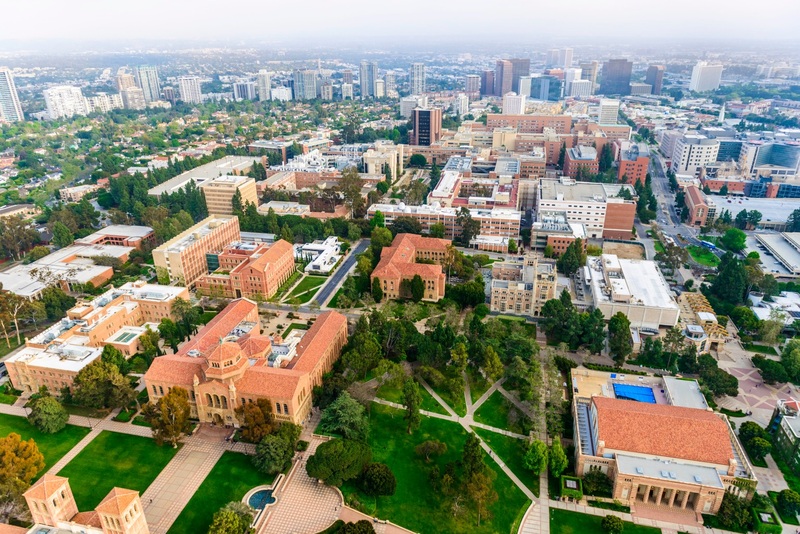 Two other graduate students in Pagliarini’s lab, Jonathan Stefely and Andrew Reidenbach, worked together to lead the Molecular Cell study of a human mitochondrial protein also involved in building coenzyme Q, called ADCK3. “Like COQ9, there are patients with mutations in ADCK3 who have really bad cerebellar ataxia, described in the medical literature not too long ago,” says Stefely. Also like COQ9, ADCK3’s biochemical function was previously unknown. The research team — from UW-Madison, the University of Georgia and the University of San Diego — similarly created a crystal of the protein and determined the protein family it’s related to: the kinase superfamily. Craig Bingman, a research scientist at UW-Madison, performed the challenging crystal work. While solving the crystal structure revealed the protein’s genealogy, the findings also provided the researchers with information that could have implications for cancer and other cellular processes that may rely on the actions of this protein and its close relatives. It provides a platform for further discovery. “It has some very specific and unique features that separate it from the rest of this kinase superfamily,” says Reidenbach. “We were also able to show the first enzymatic activity for ADCK3, which was a major milestone in this field,” Stefely adds. For Pagliarini and his students — the future of UW-Madison mitochondrial research — the old, yet still-wide-open field of study offers plenty of opportunity for curiosity, and promise. In his lab, Pagliarini is on a quest to describe the hundreds of mitochondrial proteins with functions yet unknown. With colleagues, he has amassed a collection of them in an inventory they’ve called the MitoCarta. It’s this same natural curiosity that fueled Crane and eventually led to his discovery of coenzyme Q. As part of Green’s group, he was also systematically separating the parts of the mitochondrial energy machinery, asking questions along the way. He was using beef hearts — which he got from the Oscar Mayer plant in Madison — to isolate mitochondria, and they came out in a brown solution. But Crane was originally trained as a plant physiologist and in his spare time, he started isolating mitochondria from cauliflower, too. They came out in a yellow solution, which told him to keep looking for fatty, vitamin-A-like molecules, leading him ultimately to coenzyme Q. The give-away color was simply masked by the brown-colored elements of the beef.